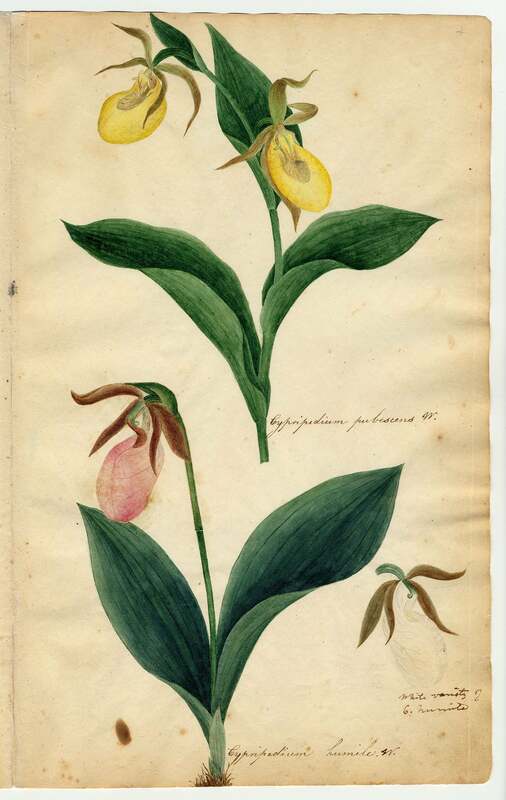 Orra White Hitchcock taught natural sciences, painting, and drawing at Deerfield Academy from 1813-1818. 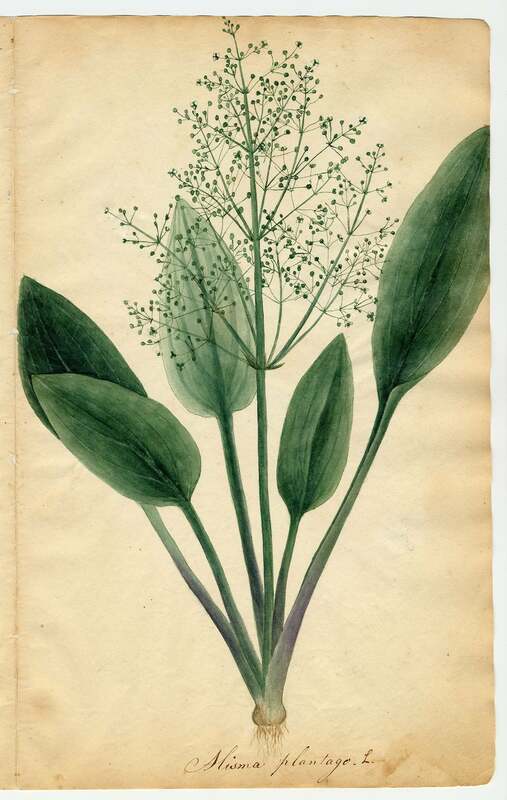 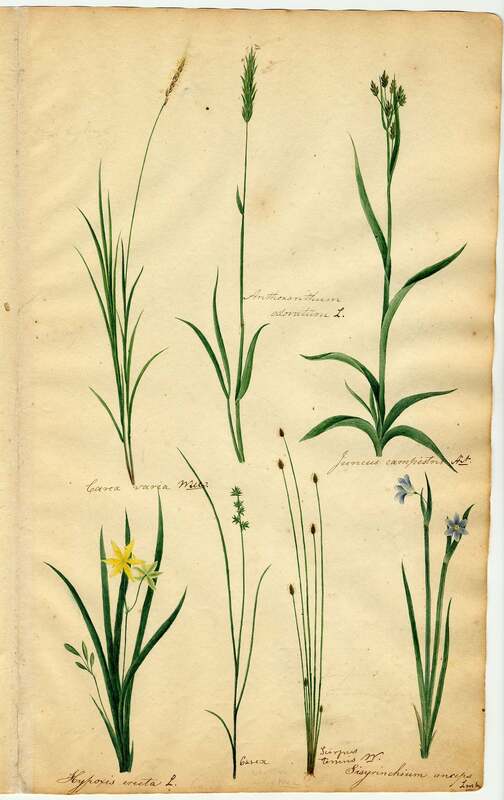 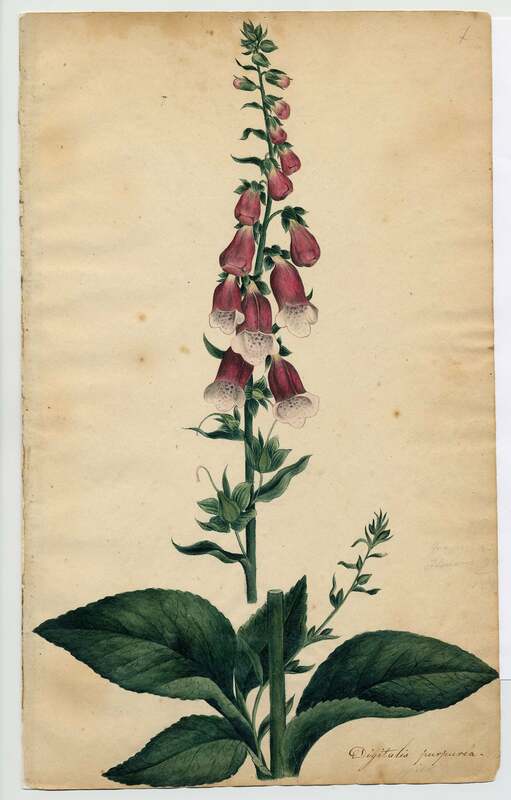 It was during this time that she created the painted herbarium, a 64-page album of watercolors depicting roughly 175 local flower and grass specimens. 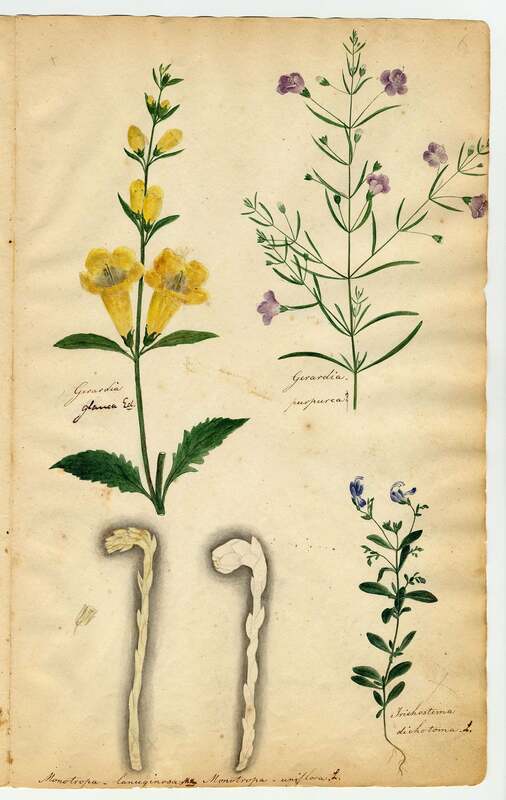 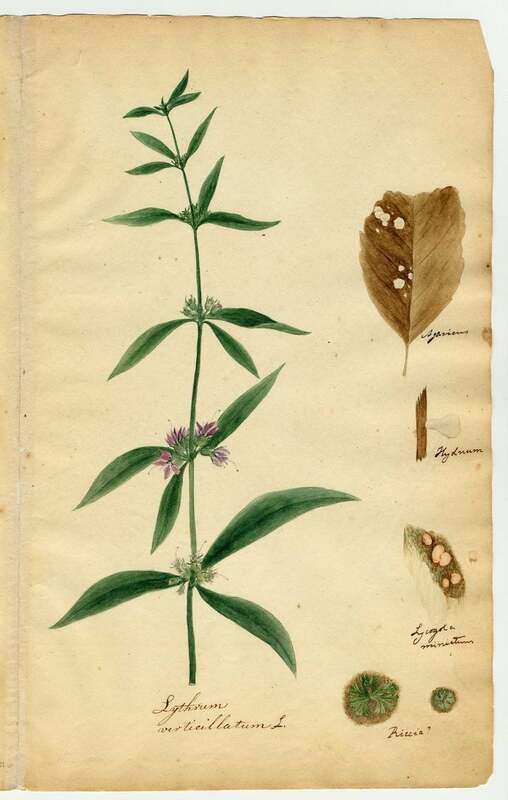 The herbarium is based on her husband Edward Hitchcock’s (Deerfield principal, geologist, and third president of Amherst College) native plant collection. 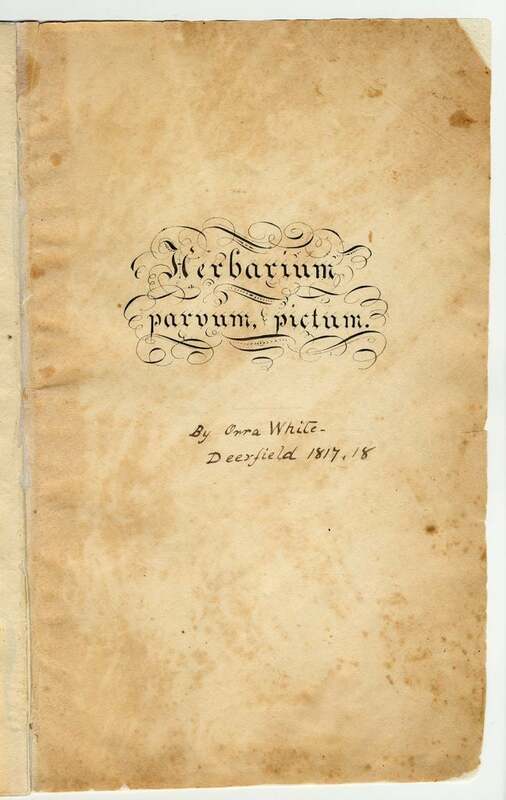 For more on Orra, see the Orra White Hitchcock Collection in the Deerfield Academy Archives and Edward and Orra Hitchcock, Archives and Special Collections, Robert Frost Library, Amherst College.